Larry Nance, Jr. is a rookie power forward for the Lakers, selected with the 27th pick out of Wyoming. The Akron, Ohio native is the son of 3-time NBA All-Star Larry Nance, who played 13 seasons with the Suns and Cavs. Nance is averaging 6.0 points and 5.0 rebounds a game, during his inaugural season in LA. 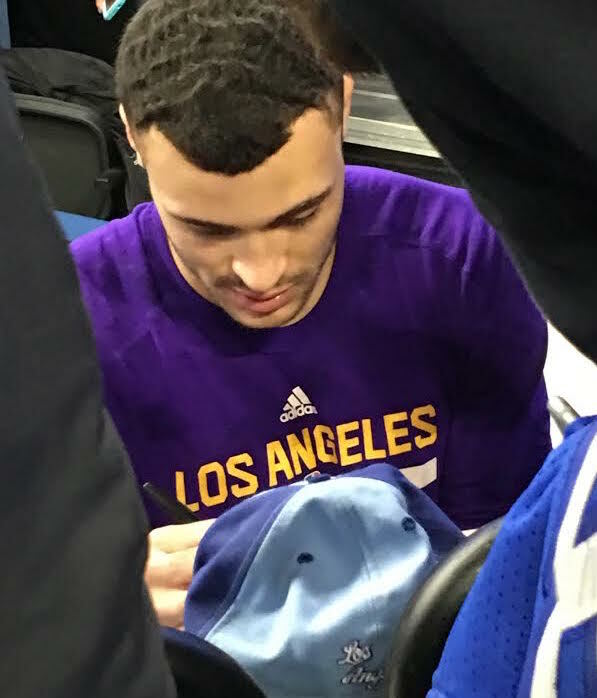 Recently, iFolloSports.com Michigan based correspondent Lance Martinez captured this original photo of Nance signing autographs at the Palace of Auburn Hills.